You’re probably wondering what the connection is between jigsaw puzzles and prayer. A few weeks ago Debbie Hannah Skinner spoke at our Women’s Retreat on Fixing our Eyes on Jesus. She talked about the distractions that hinder us from doing that and then gave us a chance to use our hands and minds to help us focus on a verse or a truth from Scripture. 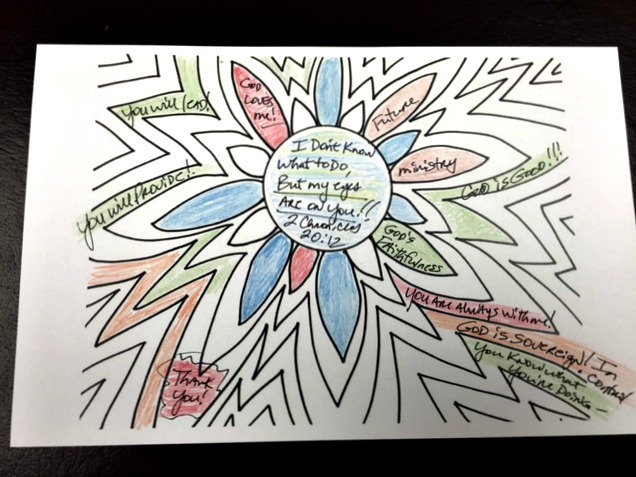 She had us write a verse in the circle in the center of a coloring sheet, and then while we were coloring around it, we meditated on the verse. It was a great exercise and one that truly helped me focus on the spiritual truth I wanted to meditate on. But, I’m not a very creative person, and doing anything artsy is not in my comfort zone. I like doing art projects every once in a while because they stretch me, but sometimes the challenge itself can become a distraction. So God showed me another way to keep my mind focused while I pray for people in my life. I love working jigsaw puzzles, but having two kittens make it impossible to work puzzles with physical pieces on a table. So I downloaded a free jigsaw puzzle app on my iPhone and iPad. 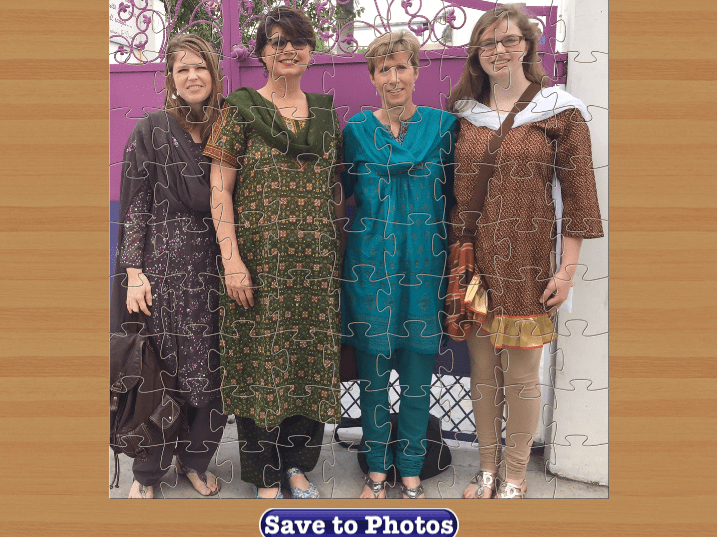 One of the things I love about this app is that it allows me to use my own pictures to make the puzzle. I began to see how, by using one of my pictures, I can pray for the people in the picture while I’m putting the pieces of the puzzle together. As I’m focusing on each person in the picture, I pray for them. If it’s a place, I pray for the people I met in that place, and I pray for the country. I try to do one puzzle each night when I get in bed. This has been a great way for me to stay focused in prayer while I’m also doing something that relaxes me. Give it a try! What distracts you from focusing during prayer or meditating on a truth from Scripture? What has helped you focus? I’d love to hear your ideas. NextIf God is Sovereign, Why … ?